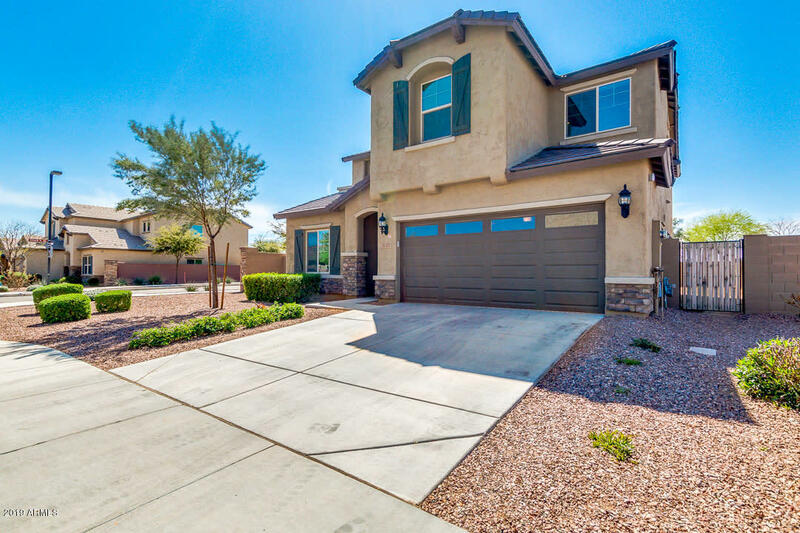 All DESERT OASIS PARCEL L14C homes currently listed for sale in Surprise as of 04/19/2019 are shown below. You can change the search criteria at any time by pressing the 'Change Search' button below. "Gorgeous new 2 story home located in desirable Desert Oasis. Home is located on a corner lot, north/south facing with no possibility of back neighbors. Home has 3 bedrooms with a den perfect for an office space. Entry way is complete with built in hooks for hanging jackets/backpacks as well as a fireplace in the living room. Master bath has a walk in shower and raised vanities. The backyard is complete with a paver patio and plenty of room for a pool! Don't miss this home, it will not last!"